In addition to our ready to use products for coaching needs we also design custom web sofware for leading HR, coaching and consulting companies. Our specialty is not only the technical implementation and outstanding visuals but also the deep understanding of the fundamentals behind human and organizational development. We also help our customers think through how new online tools can support their existing business and create new business opportunities. We can take your pen & paper tools online and make them interactive and mobile friendly. We can streamline your coaching or consulting process with online services. 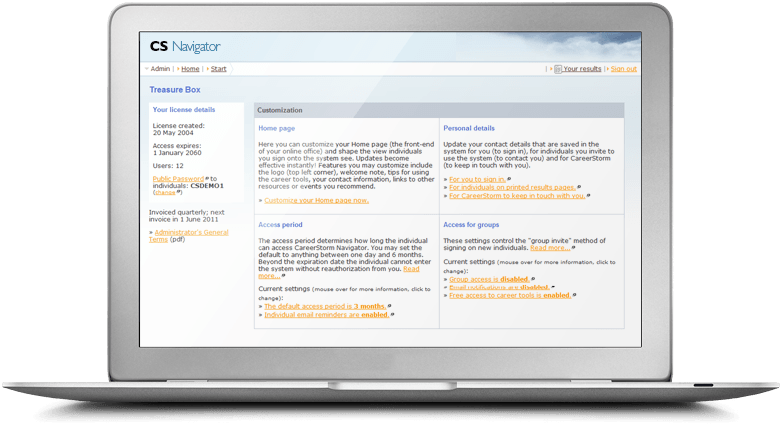 We can automate your reports and export them as powerpoint, word documents or web pages for easy presenting. We can build totally new services based on your philosophy. 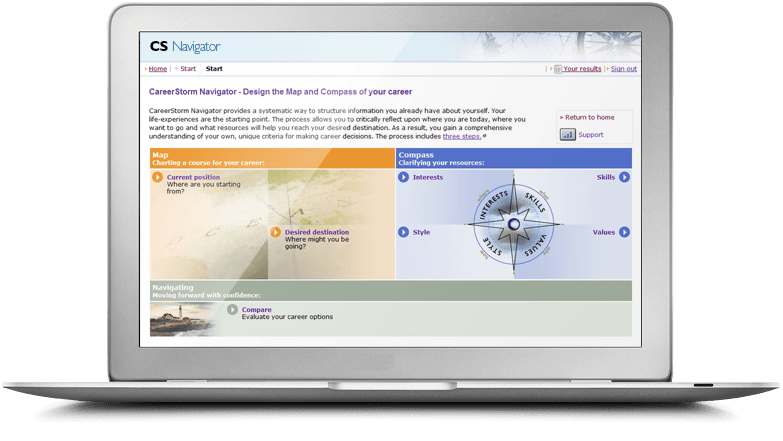 CareerStorm Navigator™ helps people design a map and compass for navigating their career and life. 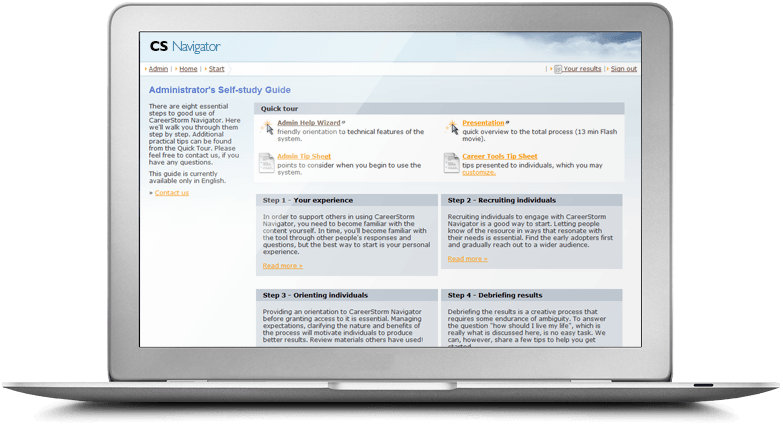 It's a toolkit for career coaches and consultants and available worldwide in six different languages. Learn UP is an online learning platform, that allows people to engage in learning when and where they want, alone and in small groups. Current courses include Leadership, Job search, Career planning and LinkedIn skills development. Volition Booster™ is a pioneering tool that measures organization's employee volition, the energy that ensures results are produced. Designed with Ria Parppei, Sparria's managing director this tool reveals how organizations can cultivate a culture of getting results. Self Leader™ is a tool for engaging actively in self-leadership. It enables people to measure their total wellness, create a vision, design development projects and learn about self-leadership. Built in collaboration with Pentti Sydänmaanlakka and his team, the Self Leader can be integrated to group and individual coaching programs to improve well-being and to support goal-directed development. Leadership Team Success Index, Strategic Execution Analysis, Board Success Index are three survey tools that are used in consulting leadership and management teams. 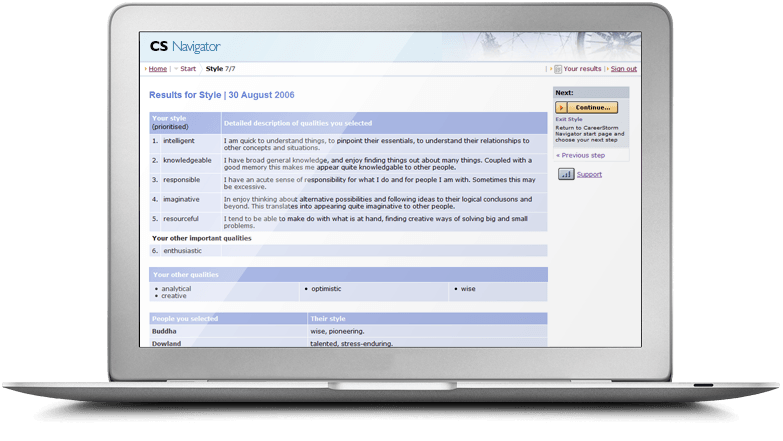 These tools are based on Helena Åhman's research and surveys. Connect UP is a virtual coaching services platform that enables coordination of multiple client bookings and coaching notes in a coordinated and confidential manner. CiZone™ is a career development platform that enables talented employees to engage in career development within the organization. Offered an interactive Career Planning Toolkit to Monster.com customers in over 90 countries, through 15 Monster country web-sites, in 9 languages from 2000 to 2003. Participated in planning and building the very first version of Finland's leading online recruitment web-site Oikotie. 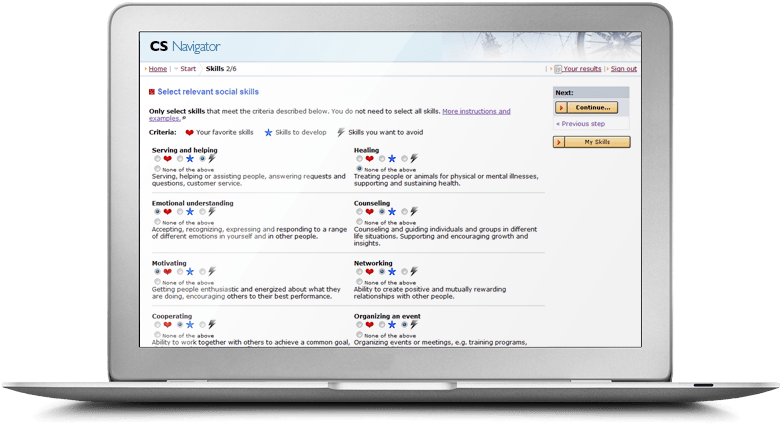 Built three interactive toolkits to assist job seekers on career planning, job search and writing their CV/Application letter that were available for the first 5 years of Oikotie's existence.